Rothco M-51 Engineers Bag Black | BUDK.com - Knives & Swords At The Lowest Prices! This M-51 Engineer's Bag is a great EDC bag for those who like to stay organized on the go. It is constructed of heavyweight cotton canvas and features a large laptop size main compartment, a large document compartment with a 3/4" zippered opening. 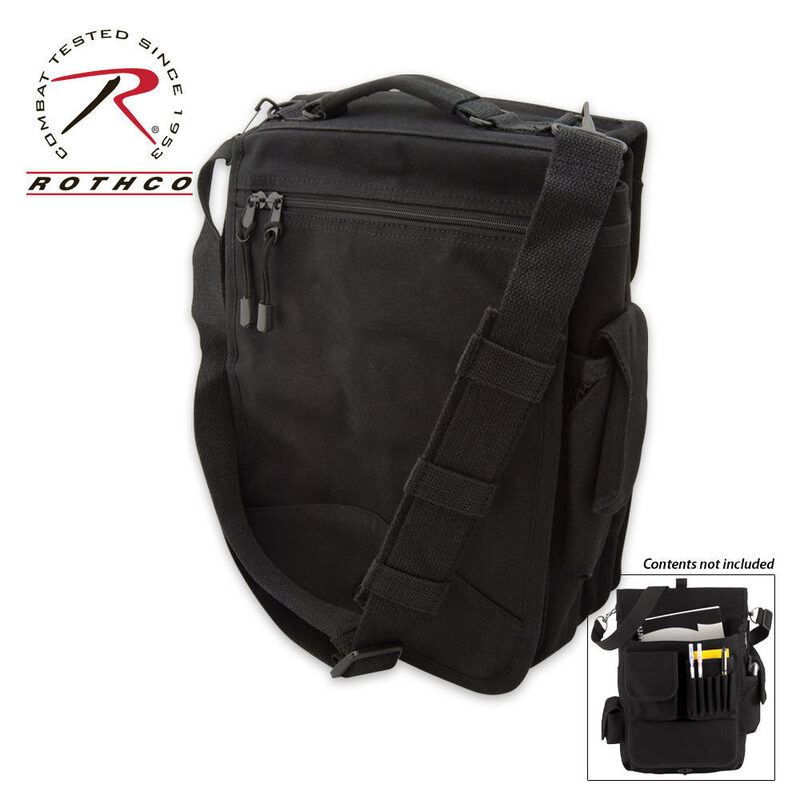 This bag also offers dozens of pouches, compartments and a penholder, as well as a storm flap, top carry handle and an adjustable shoulder strap.